August 28 is Rainbow Bridge Remembrance Day, a day set aside to remember the pet companions we have lost. Our pets are members of the family and part of our daily lives so their loss is felt very deeply. Mourning their death is different for everyone but why not choose to celebrate the joy your beloved pets have brought into your life? 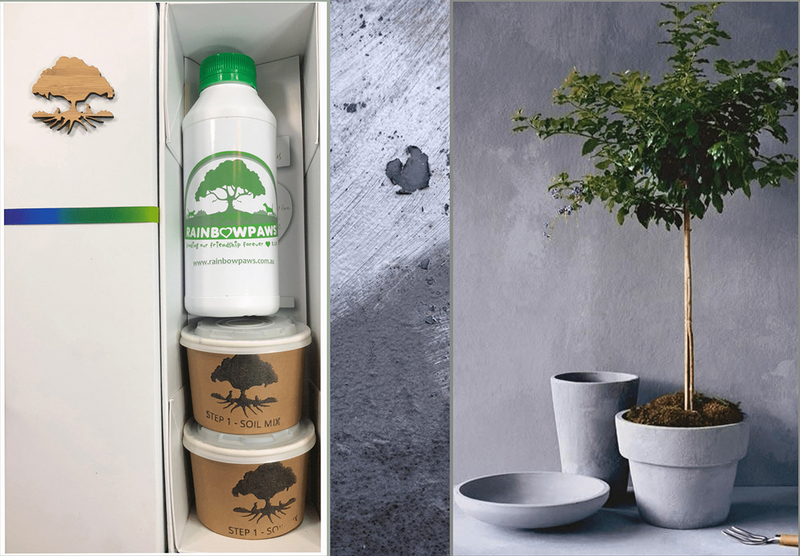 In an Australian first, RainbowPaws Memorials enables pet owners to create a lasting memorial by transforming their pet’s cremated remains into new life through infusion into a living plant. Using organic science, a pet’s cremated remains can support new life by converting ashes into nutrients that promote thriving growth in a chosen plant or tree. Untreated ash is damaging to the soil surrounding the delicate roots of plants, causing them to struggle to grow. RainbowPaws’ unique process balances the acidity and caustic aspects while releasing essential nutrients locked in the ashes to stimulate growth. RainbowPaws Managing Director, Luke Roberts, said the technology used to transform pet cremated remains has been tried and tested with pleasing results. Trees under lab testing grew up to 30% faster and became stronger than non-treated trees. “With over a million pets cremated a year in Australia alone, the RainbowPaws’ process continues the circle of life, passing a pet’s energy into a tree, keeping memories alive for generations to come. Planting a memorial tree that flourishes with the legacy of your pet can help both children and adults connect with the happy memories of their pet’s life, rather than the loss,” added Mr Roberts. Dr Caroline Orli, the Rainbow Vet, provides an in-home euthanasia service for dogs and cats and often guides her clients through the difficult grief process experienced after a pet’s death. “Many owners would not be aware of the harmful components of their pet’s ashes. I love that there is now an option for a pet’s beautiful energy to be further passed and shared to nurture the growth of a tree,” said Dr Orli. Shaney was 22 years old when she passed away. She was healthy, active and beautiful right up to her last few days. Very much part of the family, Shaney was well looked after and loved. Shaney was a cat, and when she died, owner Christian Pittorino wanted to honour her by giving her a unique and respectful way to be remembered. Christian recently planted a wisteria tree in memory Shaney, using the RainbowPaws Memorial Tree Kit. “It made me happy to be able to finally give her the farewell she deserved. I chose a wisteria tree for its magnificent beauty. Much like Shaney, it will require some maintenance but it will be well worth it. Each time it blooms, I will be reminded of her and that gives me comfort”, added Mr Pittorino. 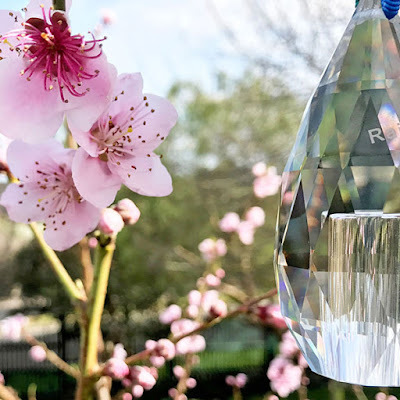 RainbowPaws also offer a Crystal Keepsake that stores some of your pet’s ashes (or fur) and refracts the sunlight when it hits the crystal, creating rainbows of memories. RainbowPaws Memorials allows pet owners to create a lasting memorial by transforming ashes from a pet’s cremated remains into new life through infusion into a living plant. Using science developed through Living Legacy Forest (www.livinglegacyforest.com.au) , the Rainbow Paw Memorial process changes the soil composition and promotes healthy biology so that a pet’s cremated remains actually help the plant to thrive. Rainbow Paws donate 5% of profits towards the regeneration of habitat of orangutans in Borneo through the Orangutan Foundation International Australia (www.orangutanfoundation.org.au).